The wait is over! Florida Georgia Line’s new album Anything Goes is now available. 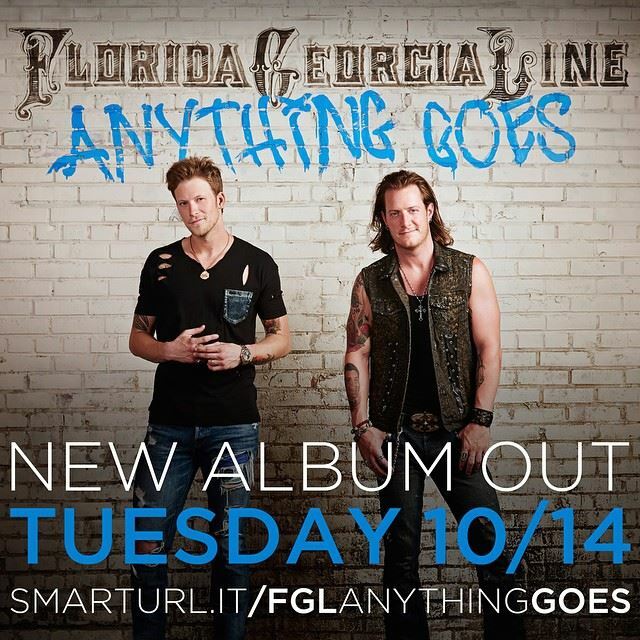 The sophomore album from the country duo has been slowly released through instant tracks over the last couple of weeks, but today you can get Florida Georgia Line’s Anything Goes full album in stores and on iTunes. If you pre-ordered the album and have been receiving the instant tracks, the rest of the unreleased tracks are out today! A special extended version of the album with 3 bonus tracks is available exclusively at Target or Walmart.